Top notch completely new renovation. These modern, hip condos feature open floor plans, 8 ceilings, & tons of natural light. 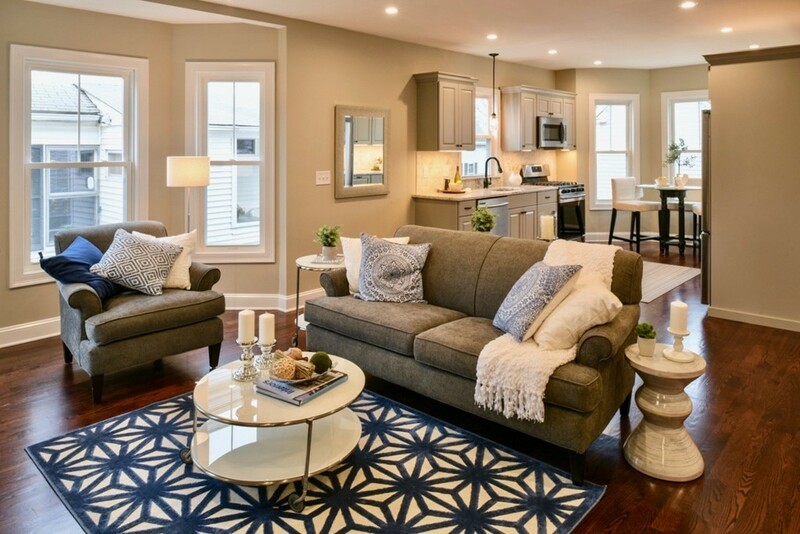 Located in one of Beverlys downtown thriving neighborhoods; a mecca of development, the place to be, featuring diverse shops, restaurants, waterfront, & the commuter rail just 30 minutes to downtown Boston. This isnt your basic builders flip, these two thoughtfully designed units have upgrades throughout like luxury bathrooms; sleek fully appointed kitchens w/ under cabinet lighting that shows off the granite counters and unique stone backsplash. Rich, warm hardwood floors throughout. Lots of closets & storage. Generous size rooms with large master bedrooms. In-unit washer/dryer hook-up. Wired for todays technology. Central AC, natural gas utilities, spray foam insulation top to bottom and certificates issued for energy efficiency will result in low-cost bills. One car off-street parking plus on-street parking.